Most of us have some unhealthy eating habits that develop for a variety of reasons over the course of our lives. For many people these unhealthy habits can lead to weight gain over time, inhibit weight loss or even lead to the development of lifestyle diseases such as diabetes and heart disease. The first step in becoming more healthy or losing weight is identifying what diet habits you have that are unhealthy and need to be altered. In day to day life it is easy to develop a bad eating habit without even realising you have done it, so it is essential to find the problem areas before you can make any changes. In order to work out just what you’re bad habits are, it may be useful to keep a food journal and record everything you eat for a few days. Make sure you include a weekend as well as week days as your eating habits may differ drastically when you have a different routine. By putting your diet down on paper it is easier to see the unhealthy habits that may have crept into your diet over time. A total overhaul of your diet all in one go can be overwhelming, unsustainable and depressing, so aim instead to make gradual small changes that are easy to achieve and motivate you to make more changes. Small changes such as switching to low fat dairy products or eating a piece of fruit every day are the perfect way to start and easily achieved, which means you feel a sense of achievement when you manage to stick to them. One small change per week may not make a huge difference in your short term weight loss, but over time it increases the changes will add up and you will end up with a healthier diet in the long term which will assist not only with weight loss but also with maintaining a healthy weight and balanced diet. Making a specific plan is helpful when you are trying to change your diet. Goals such as to ‘eat healthily this week’ or ‘exercise more’ are not specific enough because although they outline what you want to do, they do not deal with how you are going to manage it. Small goals based on actual actions or changes, for example going to the gym three times this week or eating an extra serve of vegetables with each meal, are much more motivational and easier to achieve. Not only this but writing them down and putting them in a place you will see them daily, such as the fridge, can help to keep you on track. Weekly goals are much more achievable than long term ones when it comes to dietary changes. Although you may intend to make the change a long term one, taking it week by week makes it much more approachable and less overwhelming. For example, if you make a goal not to eat fast food for a week this is a lot less daunting than deciding not to eat it for the next year. (See also: Healthy packaged food to add to your shopping list). If you manage one week you can then aim for two and so on, but it is important not to overwhelm yourself before you have even started to make changes and break habits. 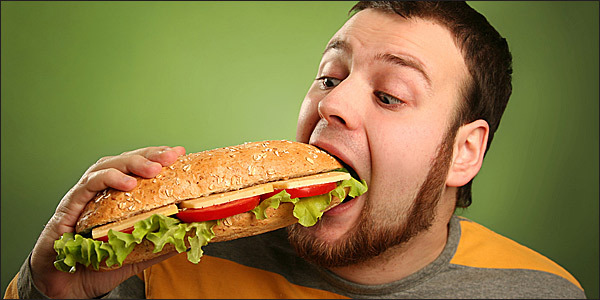 It may be that certain activities you do or certain moods trigger your consumption of unhealthy foods. If these moods or activities are regular occurrences, you may find that you have developed an unhealthy habit associated with them which is impacting on your health or weight. Many people form habits of turning to unhealthy, comforting foods when they are stressed or depressed, whilst others always need something to snack on when they are watching TV in the evening in order to wind down. In order to break these habits you need to make a conscious effort to change them. If certain moods cause you to eat unhealthily, look into ways to avoid feeling this way such as yoga for stress, seeking help or speaking to your boss about your workload. Alternatively, find a different way to release stress when these moods occur, such as exercise, a long bath or meeting friends. If you have bad eating habits associated with activities, look for ways to replace these with good habits. For example, instead of snacking on potato chips in front of the TV, replace these with vegetable sticks or even air popped pop corn which is high in fibre and much lower in calories.